Breeze FM is located at Chipata, the provincial headquarters of the Eastern Province and one of the fastest growing towns in Zambia. Breeze FM encompasses three kinds of radio: it is a community-based, commercial station, with public interest programming. As provincial capital, Chipata is home to many government offices and departments. It is also the provincial launch-pad of NGOs and international aid organisations. For accessibility, Breeze FM gets full marks. Its studios are plumb in the centre of town, next to a taxi-rank, down the road from the main fresh produce market, close to the main banks, and surrounded by restaurants, shops and stalls. The station commenced test transmissions on 5th October, 2002 and was granted a full broadcasting license on 31st January, 2003. The station was officially commissioned on 31st January, 2004 on the day of its first anniversary. The station operates for 24 hours each day. For 18 hours from 06.00 hours to midnight, Breeze FM broadcasts local programmes. The night shift, from 24.00 to 06.00 hours, is dedicated to BBC live programmes. Breeze FM is a partner station of the BBC. Breeze FM over the first nine (9) years of operation had an average radius of 120 kilometres. In February 2012 Breeze FM completed a geographical expansion programme which extended its signal to the entire Eastern Province, parts of Central and Northern Provinces as well as significant areas in Malawi and Mozambique. Today Breeze FM has a radius of up to 300 kilometres and a listenership of well over 1 million people. 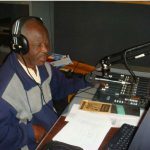 Breeze FM broadcasts in Chinyanja (or Chewa) and English languages. Two thirds of programming is in the Chinyanja language and one third in English. The Chewa language is also widely spoken in Malawi and the Tete Province of Mozambique. The target audience is multi-generational, from the age of 10 to 70, and includes peasant farmers and villagers, small-scale traders, workers, businessmen and members of the general public. Audience surveys carried out by various organizations in the province show that Breeze FM is the most listened to station in Eastern Province. More than 75 per cent of respondents give Breeze FM as their favourite station. The vision of the station is to become a profitable people-centred and development-focused local/sub-regional radio station. In terms of programming, Breeze FM is a public interest station – combining education, information, news and entertainment. The station’s focus is on the interplay of issues concerning the community; its history and the social, cultural and economic activities and endeavours of the people. Breeze has a broad development mission – to stimulate prosperity in the coverage area by creating access to useful, relevant and up-to-date information that will give growth at personal, family and community levels. Apart from providing essential information, the station’s programmes incorporate the ‘how to do’ approach providing guidance, offering tips and hints to listeners on different subjects. Programme development is a continuous process and the station uses focus group discussions to get listeners’ feedback as well as their needs in news, information and music. 3. providing a channel to communicate information on development issues to our community, and to communicate perspectives from the community to those in authority. 4. providing radio as a viable advertising medium to businesses, which previously advertised in distant national institutions. I would like to put up an advertisement seeking my Zambian father whom I left there 50yrs ago am I at the right place? All Programmes Structured at Breeze FM are good,may you continue.Thank you presentors.